From the tropical islands of Fiji, man created one of his greatest inventions: the hammock. Hammocks are what man would sleep in if it weren’t for women, who require sheets and pillows and spring mattresses. But even if you rise from one of these so-called beds, you can still retreat to the shower and wash yourself in the fresh “scent hammock” of Fiji Body Wash.
my boyfriend loves this old spice body wash and the price was amazing when we bought it. highly worth it, its the body wash brand and scent he keeps buying. A pleasant, masculine smell. Gives a fresh feeling. Great product, and smells great! Nicely scented for my man and does a great job on his skin. A+ for Old Spice's body wash line for men. 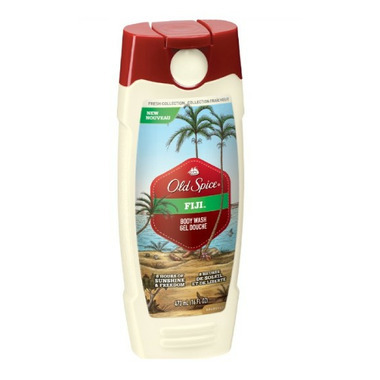 My husband love old spice fiji body wash! He loves that its built for men with a masculine scent and gives a deeper clean.